Hoover Vacuum Cleaner Just $79.99! Down From $170! PLUS FREE Shipping! You are here: Home / Great Deals / Amazon Deals / Hoover Vacuum Cleaner Just $79.99! Down From $170! PLUS FREE Shipping! Amazon is now offering the Hoover Vacuum Cleaner for just $79.99 down from $169.99 PLUS FREE shipping! Do you love your kids and pets but need something that can really clean the seen and ‘unseen’ pet hair and debris? 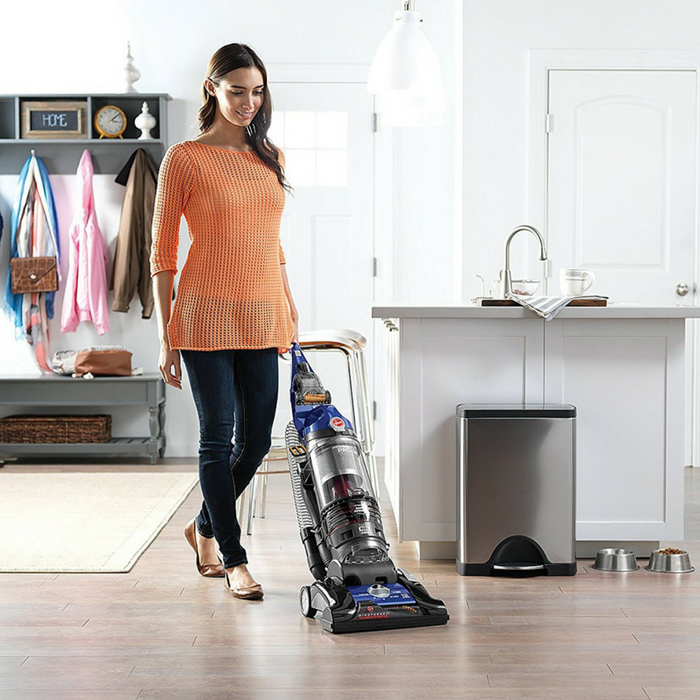 Here’s what you need to get at the stubborn pet hair and get deep down cleaning – Hoover WindTunnel 3 Pro Pet Bagless Upright Vacuum. It’s designed with WindTunnel Technology that lifts and removes deep-down, embedded dirt with 3 channels of suction. The WindTunnel 3 Pro Pet helps you manage vacuuming and cleaning your home with features like a reusable, easy-rinse filter, a rubberized pet tool accessory pack that remove stubborn pet hair, multi-floor brushroll on/off option allowing you to easily move from carpet to hard floors.